Worried about your dog getting fleas and ticks? Here you'll find the best products to fight fleas and ticks and information about the ingredients used in dog flea and tick control products. Here are the safest ones that you should look for when buying them for your dog. 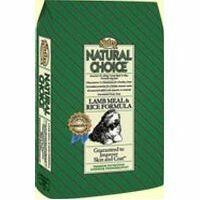 Each of our dogs has tried almost every variety of Nutro dog food that’s available, and we keep coming back to Nutro Natural Choice Lamb & Rice as the favorite in our household. Here’s why we love the Nutro dog food varieties.